To enhance the prestige of the United Arab Emirates in the field of agricultural innovation and date palm research by virtue of its pioneering role in this field at the world level. To support research and innovation related to the development of the agricultural and date palm sector. 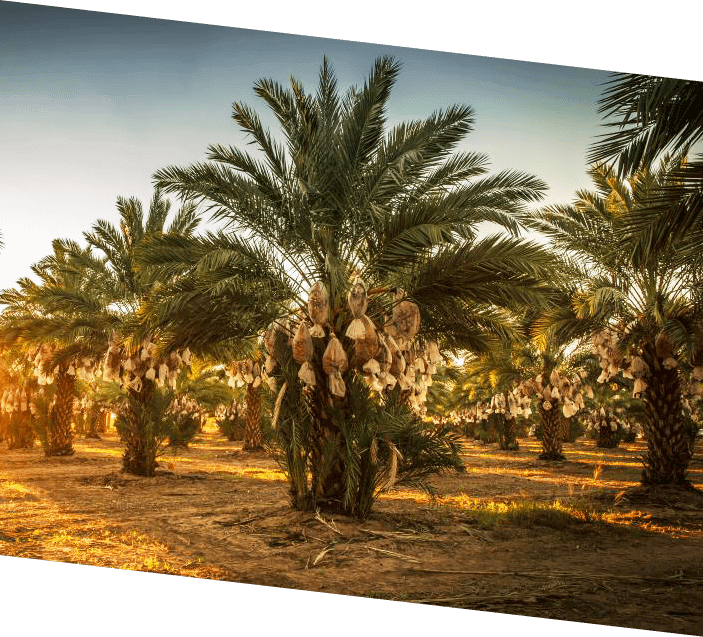 To develop and maintain regional, national and international cooperation among the various parties involved in innovation in the agricultural and date palm industry. To promote the culture of innovation in date palm and agriculture in general, at the national, regional and international levels. Khalifa International Award for Date Palm and Agricultural Innovation has been founded by H.H. Sheikh Khalifa Bin Zayed Al Nahyan, The UAE President (God protects Him), as an appreciation to the innovators and workers in the agricultural and date palm sector, both in the UAE and other countries of the world, to recognize outstanding innovations and efforts targeting sustainable development of this sector for present and future generations. To acquaint the world with the attention given by UAE’s government and H.H. Sheikh Khalifa Bin Zayed Al Nahyan, The UAE President (God protects Him), to date palm cultivation and agricultural innovation and his kind initiatives in support of research and efforts concerning date palm and innovation in the agricultural sector. To highlight the leading role of UAE in boosting creativity, progress and innovation in the field of date palm and the agricultural sector. To encourage people involved in the agricultural sector and date palm cultivation, whether researchers, growers, exporters, institutions or world companies and agencies, to adopt innovations. To support scientific research in the development of the agricultural sector and date palm using global expertise for finding the best means for improvement of the real condition of agricultural innovation and date palm. To honor influential figures in the agricultural and date palm sector and to motivate innovators around the world to find creative solutions of benefit at the local, regional and international levels. To develop cooperation among the various parties involved in innovative research, propagation, cultivation and the industry in agriculture with date palm as a basic constituent. To disseminate awareness of the necessity to innovate in the agricultural sector and to lend attention to date palm at the national, regional and international levels. To enhance the significant role of UAE in hosting world awards and events with attention to environmental protection, the fight against poverty and increasing the green area to serve food security and sustainable agricultural development issues.